Conserving a screen used, latex Doctor Who prop monster mask of a Silurian. 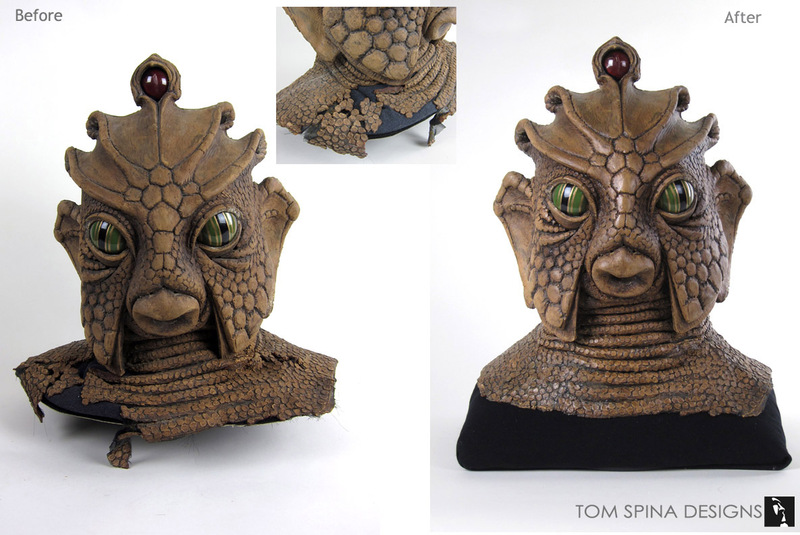 We’re all huge fans of classic sci-fi and were honored to help preserve this original prop Silurian mask from the classic BBC television series. 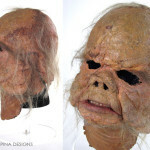 The latex Doctor Who prop monster mask was used in the 1980’s Peter Davison episode “Warriors of the Deep”. 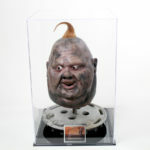 When it arrived at our New York studio the mask was in fair condition,especially considering the TV prop’s age. While we did have to restore a few small areas with added material, this project was primarily about preservation. Conserving a latex mask prop begins with a careful cleaning to remove dust and debris. 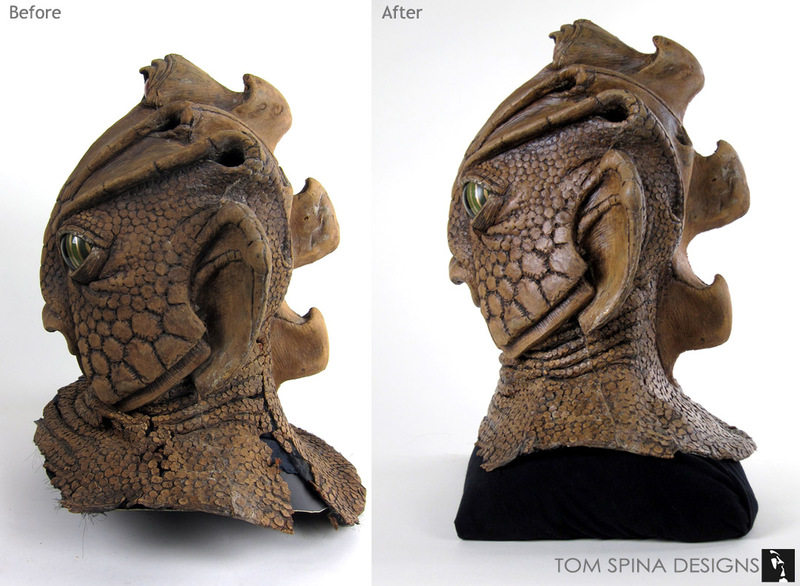 In the case of this Silurian mask, the Doctor Who prop had a lot of scales and crevices for dust to hide. After cleaning, movie prop restoration artist Mike Thomas performed a seamless repair blending the original material with the new repairs and patches. 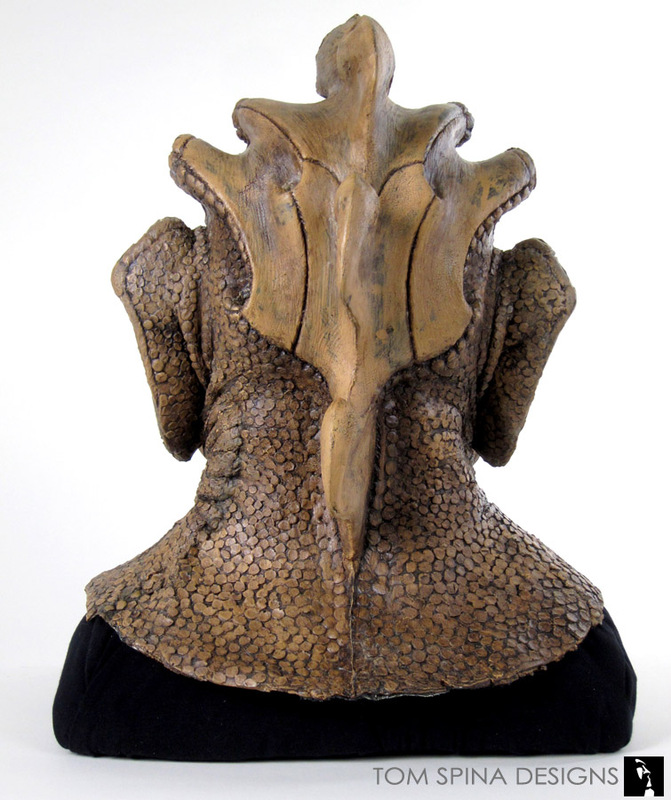 Note the subtle differences between the before and after images of the Silurian. The bib of the prop mask was reinforced with fabric patches on the underside and the missing scales recreated with archival materials. Once the repairs were done, the restoration work was in-painted, a process where our artists painstakingly paint match only the patches we repaired. 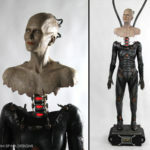 This approach maintains the aged, screen used material above all, and keeps the prop feeling very much original. To help preserve the Doctor Who mask, we added a generous layering of flexible sealer. This was to help bind tiny cracks in the surface and to help hold any flaking paint in place. 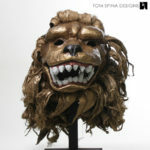 The mask was also fitted to a custom display form. Our conservation form greatly improved the “posture” of the mask and better supports it to help minimize gravity’s effects and aid long term preservation. 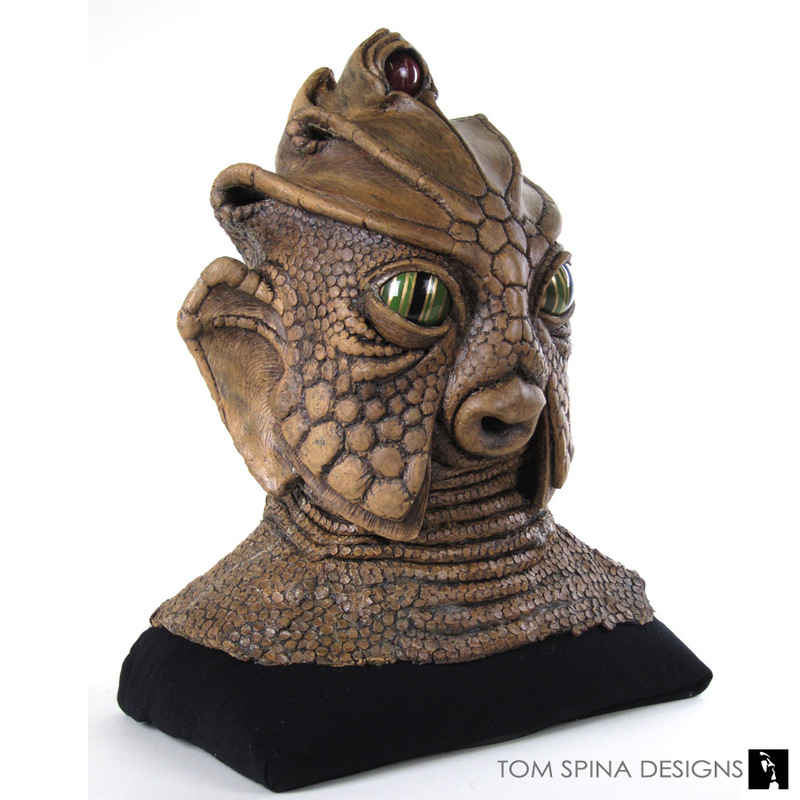 The form is custom sized to fit inside the Silurian’s head and fully support the mask’s oddly shaped bib. 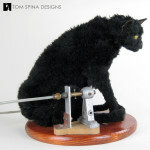 Do you have an original movie or television prop that is in need of restoration or display? Email or call today and let’s discuss your project! Are you a true Whovian? Download and watch the classic series here!